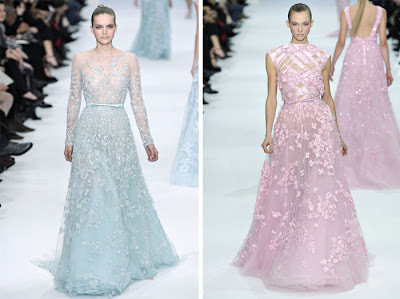 Elie Saab presented a romantic collection of ivory and pastel hues of powder blue, rose and wheat for his spring 2012 haute couture show in Paris. 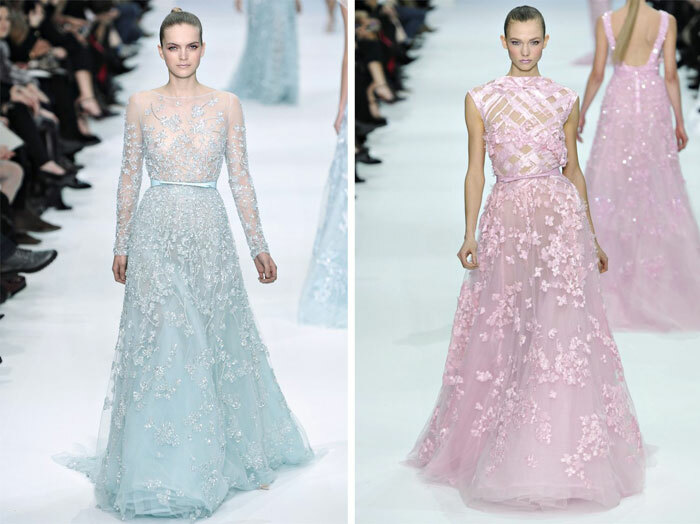 Known for designing many red carpet creations, this season had its fair share of Oscars ready fare ranging from crystal embellished floor length gowns to leafy prints in mint green. 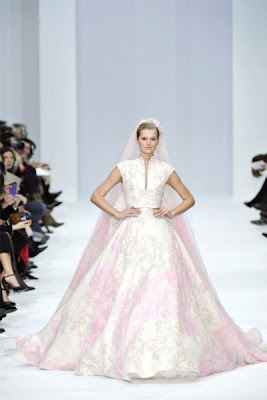 The delicate showing also offered ladylike lace works for a sweetly refined take on couture.